You may remember the physics engine work I did earlier in the year... rewriting from the ground up with zone support, etc..
Well, I'm finally getting around to integrating the block mesh colliders and such. As seen above. 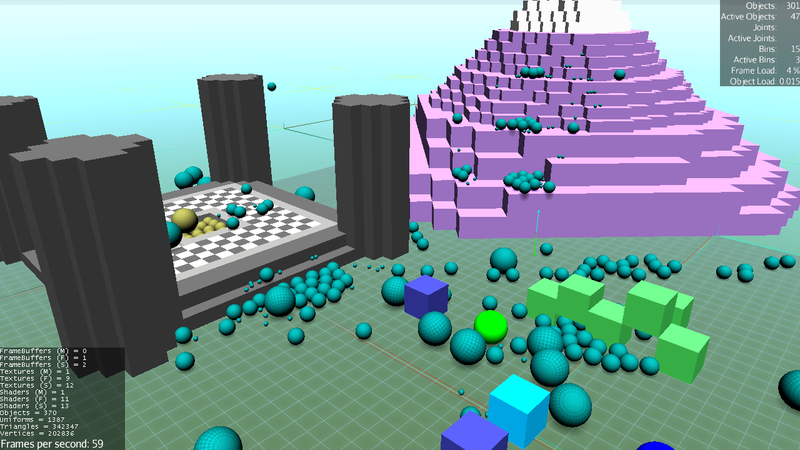 Right now I only have sphereToBlocks() and sphereToSphere() collisions working but it's a start. The blocksToBlocks() is considerably more complicated but getting this far was quite a chore and lots of problems have now been solved already. Having a base framework to build on has been nice because I can build in testing and debugging support as I go. meaning: I can thoroughly test each piece as I add it. 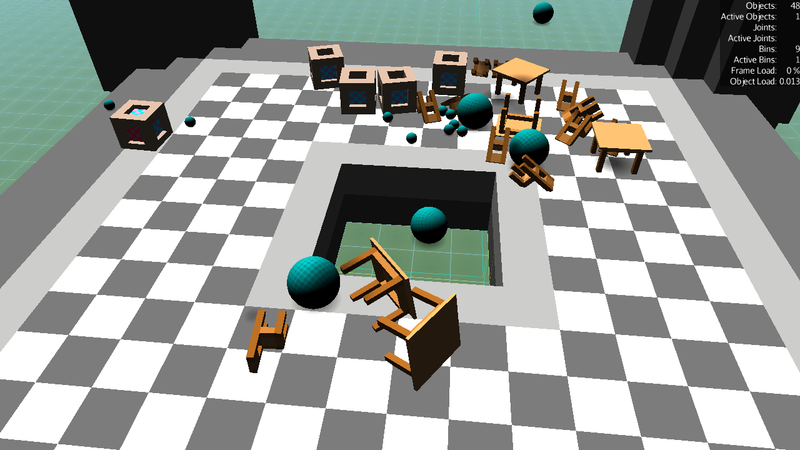 I even found a collision bug in the balls-and-blocks demo this is based on. My goals for Monday is to get blocksToBlocks() collisions done so I can throw block objects around as well as the spheres. Wish me luck. Hey Paul! Nice to see you're still working on this project here. Hopefully nothing else slows you down and you get some actual peace and quiet to work on the fun stuff. Oof. It's like you get jinxed every time you try to work on Mythruna. This definitely looks promising at any rate. It's nice to see more progress, at least. Pardon my ignorance on the matter, but what are the difficulties with implementing block-to-block collision versus sphere collision? Just stability issues, or is there something fundamentally different about it? Oof. It's like you get jinxed every time you try to work on Mythruna. Yes, I often feel that way. In many ways, that's an even worst case scenario because so far in this engine I don't have partial blocks... so I recreated the chair and the table from quarter size blocks. So each chair leg, table leg, etc. is 2x2 blocks wide. Lots more work for the collision system to do... and lots and lots more contacts to resolve. I guess the plus side is that any optimizations I make for stability and performance will be that much easier to see.